Residential projects tend to be smaller in scale with simpler site preparation. A typical excavation includes a gravel or concrete pad for a shed or other storage building. Residential project shed site excavation and stone base foundation. 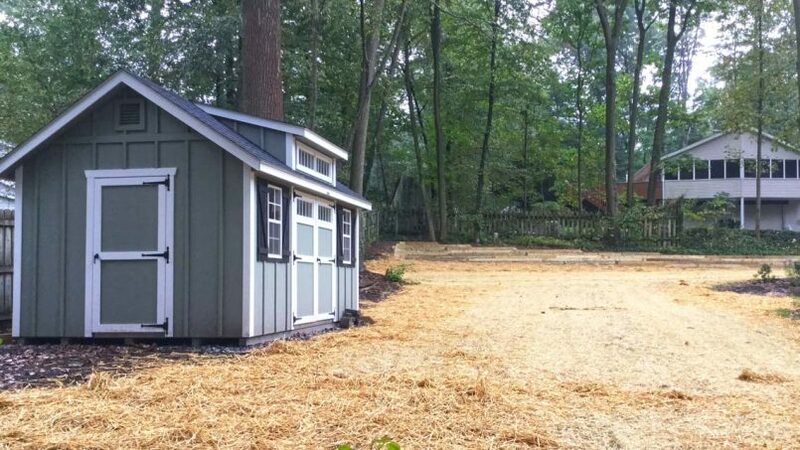 Residential storage sheds can be placed on stone base foundations or a concrete pad. Swing set area integrated with stone base shed pad and a retaining wall. 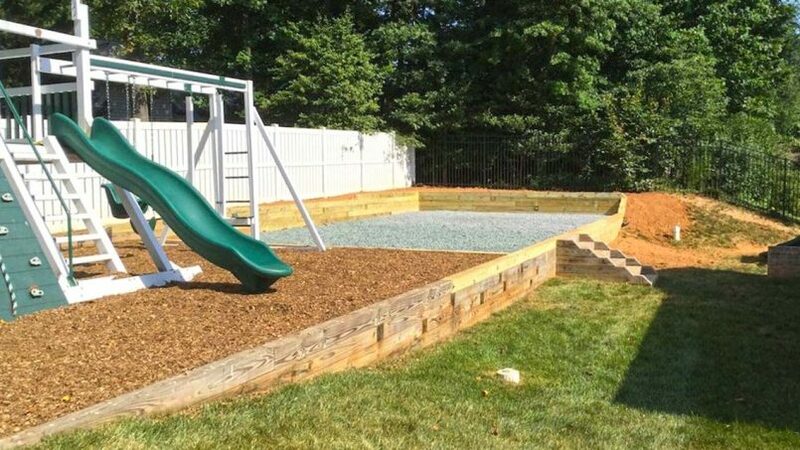 Swing sets and child play areas require some level space for safe placement. The excavation and preparation for these areas often include a retaining wall to maximize the space available.